Iv been wanting to make this recipe for a month now....finally did it!! yay!... 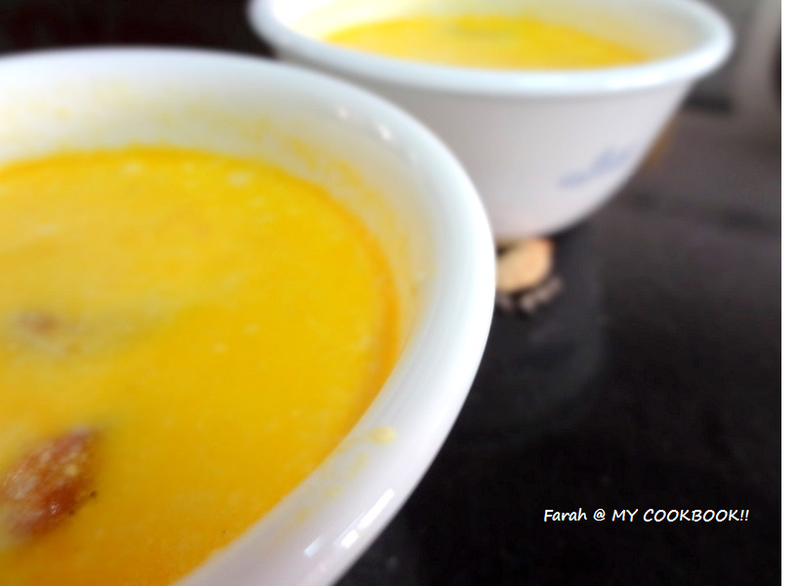 Carrot kheer has become quite popular these days.......A lovely, refreshing dessert..........A perfect dessert for entertaining guests. 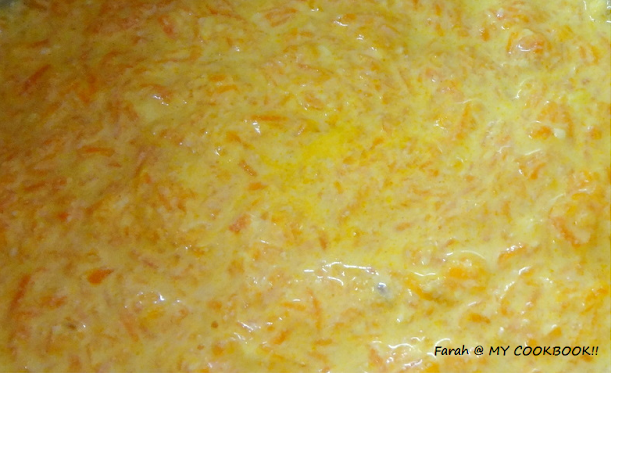 We can make it in 2 ways depending on your taste..................either have the smooth creamy texture OR have bits of soft grated carrot in your kheer! I like the latter! what's your's? Put 1 tbsp ghee in a saucepan and fry the cashewnuts and raisins and keep aside. Now in a pressure cooker add the remaining ghee and fry the carrots on low heat for a few minutes till the raw smell goes. Add the sugar and remaining milk and keep stirring till the sugar dissolves and the kheer is of desired consistency. If you do not like bits of carrot while eating, after you pressure cook the carrots with a bit of milk, cool and blend to a smooth paste. Then you can add the smooth paste to the rest of the milk and continue with the recipe. 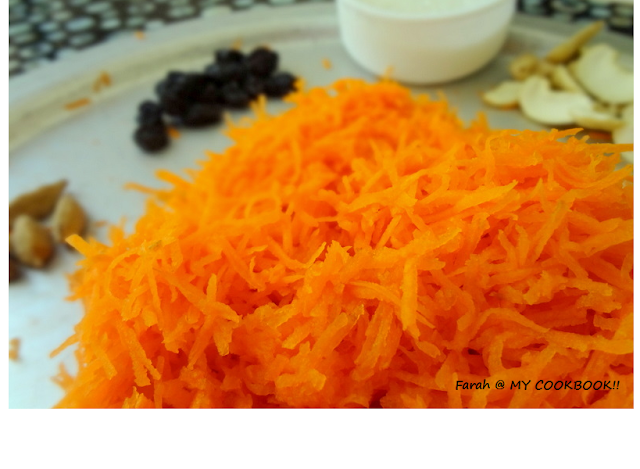 Very delicious, grated carrot makes the kheer more attractive.. Awesome color n yummy payasam! very delicious one...loved its vibrant color...too good! Yummy kheer sounds so delicious.